We want to make the process of paying for your invisible braces easy and affordable. For some, making a visit to a dentist is both painful and expensive – so it’s little surprise that people are put off visiting a dental practice and enquiring about the smile they’ve always dreamed of because of high dental fees and costly finance plans, but with a swift call to Ewan Bramley Dental Care, it doesn’t have to be this way. 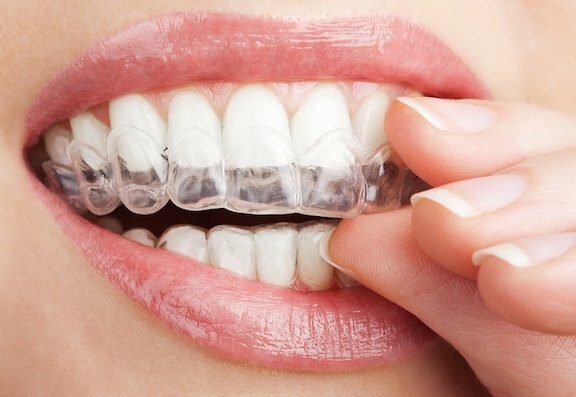 Our amazing Invisible Braces start from just £500 and you can book in for a FREE consultation today. So, what are you waiting for? Give us a call now on 0191 259 6506 or submit your information here and we’ll get right back to you. “To help make the best possible dental care affordable, we offer our patients the chance to sign up to a Health Maintenance plan of their choice. We will recommend the plan that will help you keep you healthy and smiling and our bespoke financial options won’t keep you awake at night worrying about making that next bill.” explains Ewan Bramley. Ewan Bramley Dental Care also offers interest free finance, a fantastic affordable option to ensure you get the perfect smile and we can provide interest free finance for up to 3 years. To find out more about your consultation and treatment options to suit your dental needs and budget, call 0191 259 6506 today or submit your information here. Hi. Y son needs clear braces as has had a brace before but didn’t wear his retainers every night so teeth have mooved back, only problem is, he’s in army in Germany and is only home every 6-8 weeks, so could you still treat him? Hi I have had a brace when I was 15 and wasn’t aware I had to wear my retainer for life my teeth have now moved and I’m not happy with them how much would it be for clear braces?